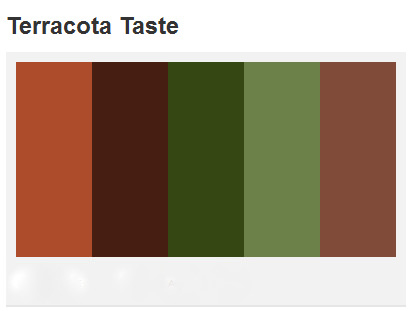 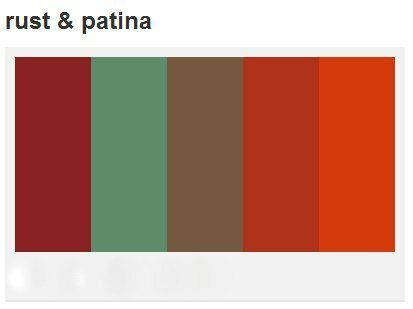 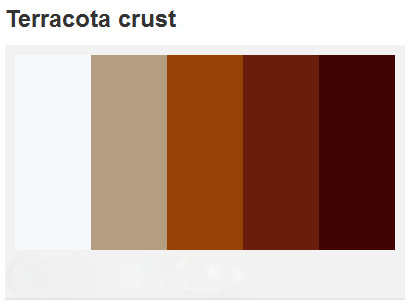 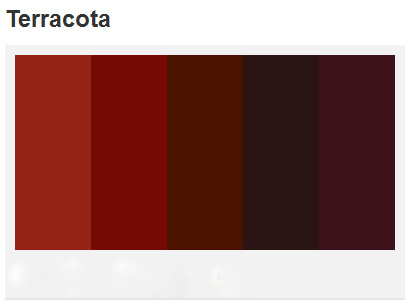 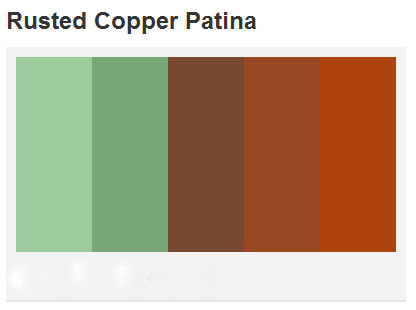 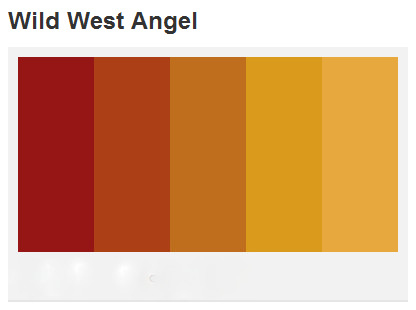 For terracotta, which is generally a burnt-orange color, the color of patina is often considered a complimentary color. 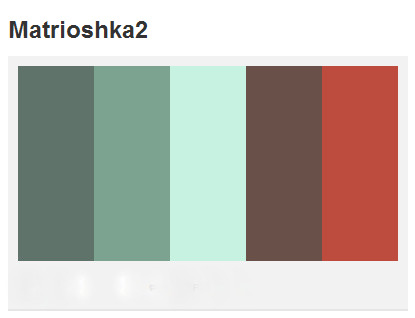 Anything in the turquoise, blue-green, to olive drab range would work really well. 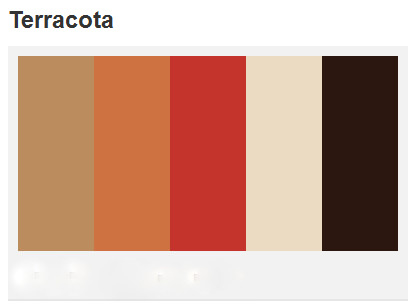 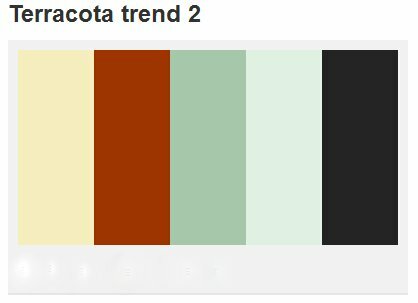 If your terracotta leans more toward an earthy brown color than orange, you might stick with colors like burnt sienna, amber, and sepia for an analogous scheme. 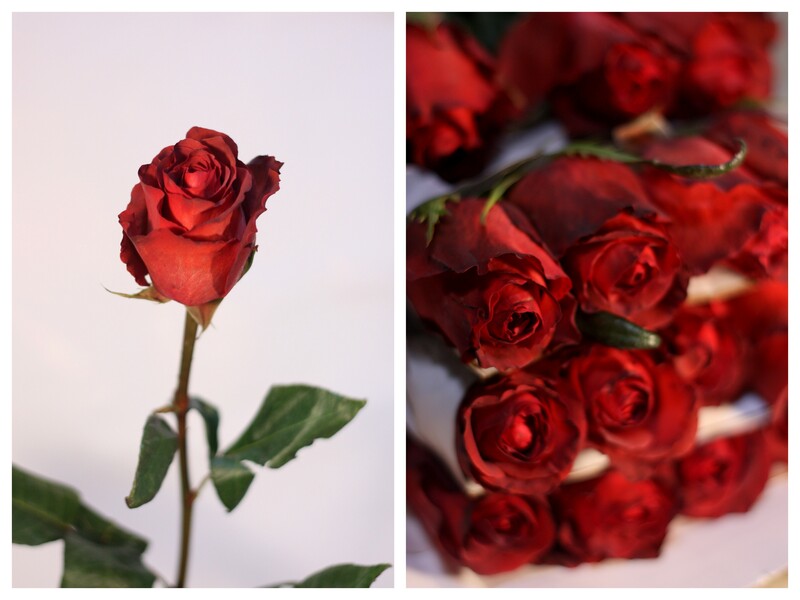 We’re looking forward to hearing your thoughts on Terracotta Rose!